Instant Chakli Recipe – How to make Instant Chakli recipe at home? This is my second post on Chakli that too an instant one. 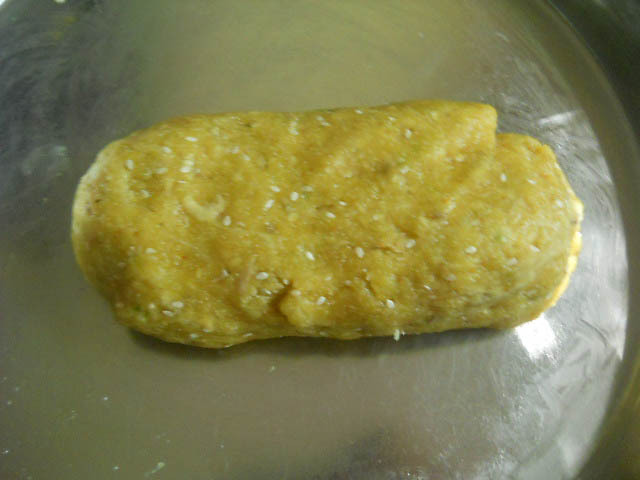 Previous one was on Instant wheat chaklis this one is made from refined flour. Let’s learn how to make instant chaklis today. 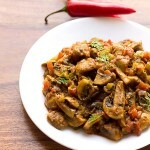 No fuss, no complications, simple and easy instructions you follow and result would be crisper, firmer and delicious chaklis. Just like Diwali even during Xmas we make chaklis. Also other Diwali sweets like shankarpali, karanji and cookies (nankatai) are made during xmas. However there are some other desserts like cakes, bread, rose cookies, kal kal, marzipans, etc are made during Xmas some people also make wine at home. Just completed a year of marriage and when people ask me how was it? I tell them honestly I don’t know it just flew by and that’s the fact. Guess adjustments, compromise and adapting to a new life takes this much time that one doesn’t realize Not that I am complaining but I am being frank as I am extremely independent and also sometimes very egoistic. Hmmm at the same time I am jovial and fun loving person. Anyways I am falling short of time today so lemme quickly share the instant chakli recipe with you. 1. 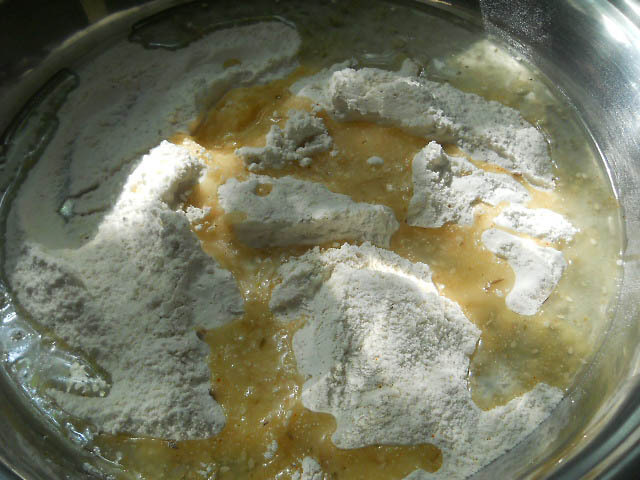 Take a big vessel and combine refined flour + rice flour. Pour the warm oil + hot water. Allow the mixture to rest for 10 mins. 2. Add carom seeds, cumin seeds, asofoetida, turmeric, red chili powder, sesame seeds and salt. Knead into a firm dough add little water if it’s too dry. Wrap with a damp cloth Or cling film and allow the dough to rest for 15 mins. 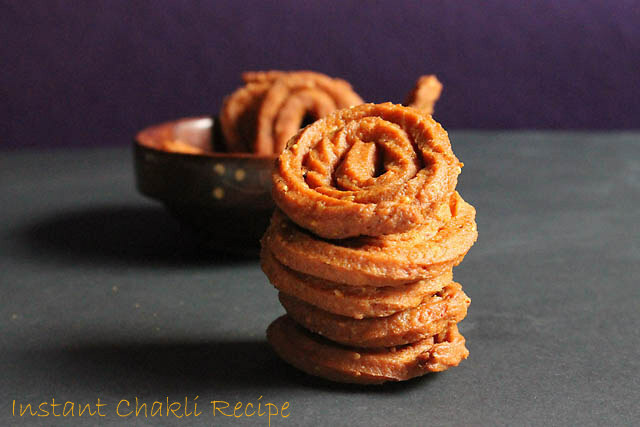 You could also place in the fridge if you want to make chaklis the next day. 3. Spread newspaper and cut some squares from newspaper. Put some dough into chakli maker and remove medium sized chaklis. 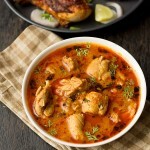 Place a kadai Or a deep vessel with oil on high heat. Once oil is hot reduce the temperature to medium heat. Gently slide the chaklis from the cut outs into the vessel Or slide chaklis gently with your hands. 4. Fry them until golden brown from both the sides. 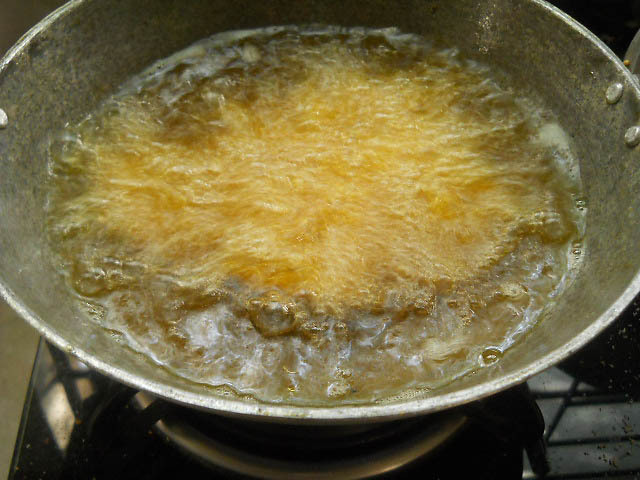 Fry few at a time don’t cluster with too many Or they might break. 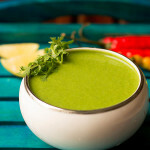 Check some more Diwali Recipes like gulab jamun, mohanthal, boondi ladoo, spicy shankarpali ,phirni, basundi and nankhatai. 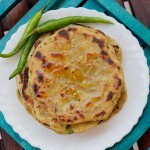 Easy chakli which could be made instantly and stored for few days. 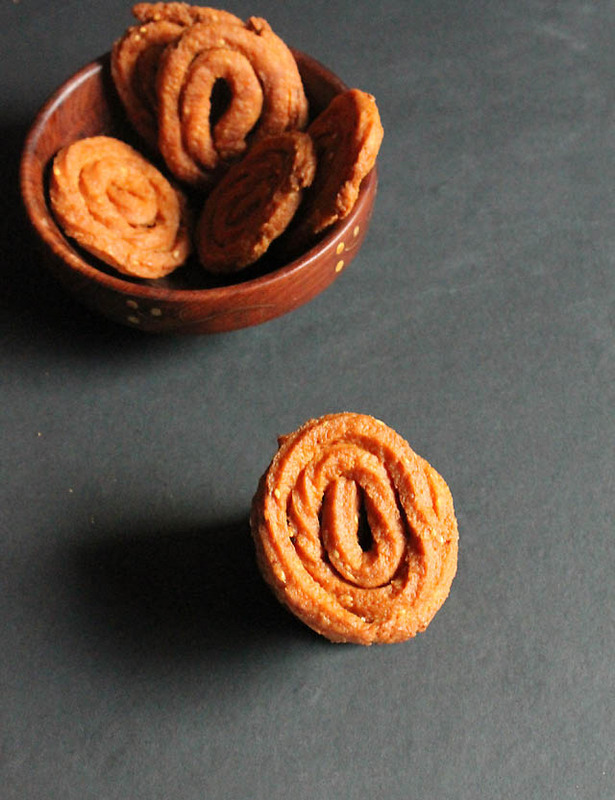 Chakli is a special Maharashtrian delicacy made during Diwali. Wrap with a damp cloth Or cling flim and allow the dough to rest for 15 mins. 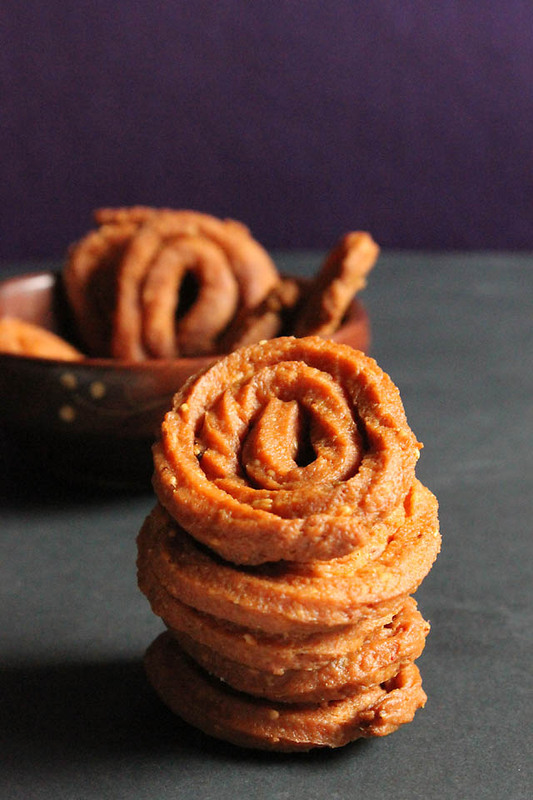 You could also place in the fridge if you want to make chaklis the next day. Just came across your post. Do you have chakli recipe of rice / wheat or gram flour combination. I am not a great fan of Refined Flour. You are welcome Domenica, check this link for whole wheat flour chakli recipe here. 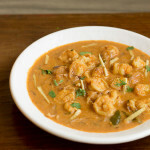 Excellent chaklis… Two of my favourite food sites are vegrecipesofindia and flavorsofmumbai.. 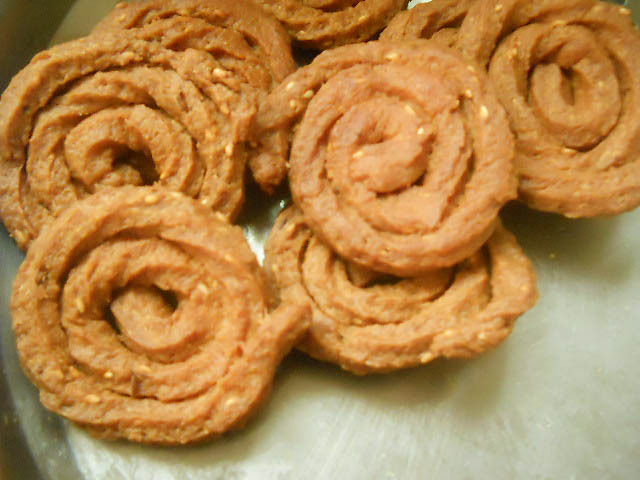 Very yummy and delicious chakli.. Thanks Rumana 🙂 surely try them and thanks for dropping by..
wow this looks super quick diwali treat…. Thanks so much 🙂 also thanks for dropping by.. These would be fabulous with a glass of wine pre-dinner. Congrats on your first year of marriage. Merry Christmas to you and your family. 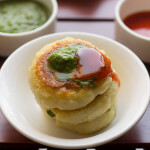 the chaklis look pretty tempting…..must try! Good Morning and winters have set in fiercely, god its so chilling in Calcutta. So, how was your Anniversary spent and gearing up for Christmas. What are you going to wear. This is such a lovely post. Reminds me of my mom. Sunita its old here also in Pune 🙂 anniversary was good. For xmas I still don’t know what to wear may be a salwar kameez Or gown Or top and jeans 🙂 unsure yet! thanks dear take care.